More on the October show at the NEC. • Dave Sims to tell his tale cycling the Tour De France on a Raleigh Chopper bicycle! 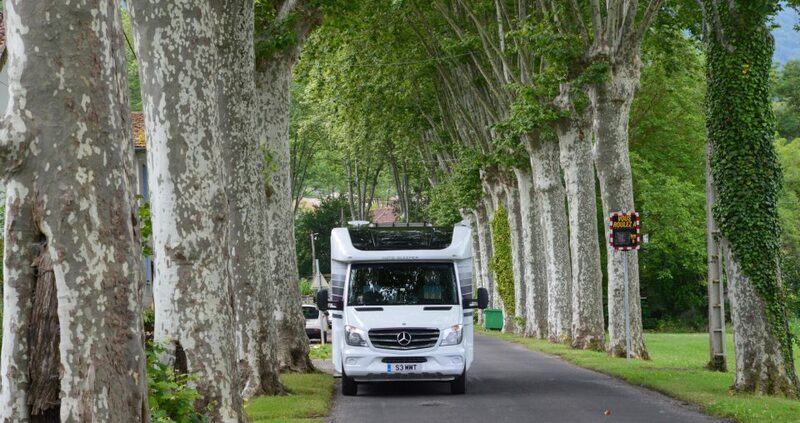 Featuring alongside all the new 2016 leisure vehicles being launched at this year’s Motorhome & Caravan Show – 13 – 18 October, Birmingham NEC – will be a group of special guests that love nothing more than getting into the great outdoors. From well-known on-screen stars such as Matt Baker and Julia Bradbury, to those that would rather go #screenfree and leave their digital technology at home, the show has a compelling line-up each day in its Experts’ Theatre and beyond. In the Experts’ Theatre on Wednesday 14th and Thursday 15th at 15.00, Dave Sims will speak about his incredible experience cycling 1,600 miles of the 2015 Tour De France on a bike designed in the seventies for children. With the professionals using carbon fibre bikes worth thousands of pounds, Dave completed the route on nothing more than a Raleigh Chopper! He raised thousands of pounds for charity and received support from Chris Froome and Team Sky in his bid to prove that you don’t need an expensive bike to take part in the world’s most gruelling bicycle race. He’s a big fan of caravans and motorhomes, having used a motorhome to support his pedalling adventure. On opening day and Caravan Club Day, Tuesday 13 October, well-known TV and radio presenter Matt Baker will feature as a guest of the Club. Visitors can hear what he has to say about his countryside adventures his career on stand 20.79. There’s also the chance to find out more about the Club’s own network of UK sites, overseas travel service plus touring advice. Friendly Friday, 16th October, will see TV presenter and President of The Camping and Caravanning Club Julia Bradbury welcome show visitors. She will speak about her love of the outdoors, walking and take audience questions in the Experts Theatre (Hall 9) at 15.00. She will also be on the Club stand 8.10 throughout the day to meet and greet Club members and non-members alike. Also on hand at the show every day is ‘Gadget Girl’ Ella Williamson, probably best known for her five year residency as the ‘Gadget Guru’ on BBC2’s Something for the Weekend. Ella regularly features in national newspapers and magazines, and on television and radio with guest appearances on This Morning, Good Morning Britain, to name a few. She also writes for BBC News. Not only will Ella be compering most of the sessions in the Experts’ Theatre, but she will also be giving her own expert advice daily at 16.00 on the must have gadgets to take on holiday. 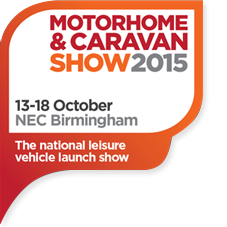 Taking place every day of the show are two ever popular sessions about buying a caravan or motorhome. In association with Practical Caravan magazine industry expert and author John Wickersham will give his unique brand of advice and top tips for buying a caravan at 11.45 each day. In association with MMM, the magazine’s senior roadtester Dave Hurrell will do the same for motorhomes and campervans, every day at 13.45. Graham Powell, of Caravan Finder TV fame, will reprise his useful morning slot on Wednesday 13th, Thursday 14th and Sunday 18th at 11.15, advising visitors how to get the most out of their visit to the show. That’s not all. Visitors can also enjoy exclusive show only deals, new product demonstrations, FREE caravan towing and motorhome manoeuvring lessons, browse hundreds of accessories, free parking and a free show guide – plus kids go free too! The show is supported by The Caravan Club and The Camping and Caravanning Club, fills 11 huge halls at the NEC in Birmingham and features every type of leisure vehicle, including caravans, motorhomes, campervans, trailer tents and folding caravans, luxury lodges and caravan holiday homes.